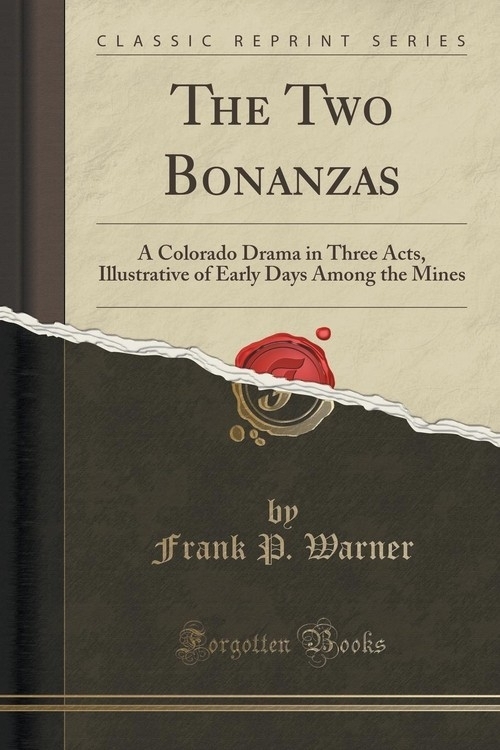 Opis: The Two Bonanzas - Warner Frank P.
Scene 1. Interior of Dundas' Cottage at Mines. - Mrs. Dundas and Eva discovered. Eva. I will try, mother. I have always tried. But I think the odious smirks and smiles of Burke Nassgar, and papa's never-ending praises of that silly Van Peltzinger, have made me miserable long enough. Papa used to take me in his arms, and call me his baby; but now he seems to think I was born only to vex and displease him with obstinacy. Well, I am obstinate - as obstinate as the little needle in the compass. Burke Nassgar I hate, and papa's pet, John Quincy Adams Van Peltzinger, I despise. Papa knows Burke Nassgar is not a good man, yet I believe he would have me marry him rather than Frank Leffingwell, who is everything that is good, and brave, and manly. Mrs. D. Eva, pray, please do not talk so. You must cultivate patience and mildness of manner. You have grievances, and so have I; but you should remember, dear, that a show of spirit, or an exhibition of temper, was never reckoned among the attributes of a lady. Szczegóły: The Two Bonanzas - Warner Frank P.
Recenzje: The Two Bonanzas - Warner Frank P.